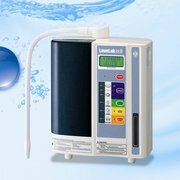 Seeing Enagic in the media again over false claims comes as no surprise to the alkaline water ionizer industry. Enagic’s newest legal troubles focus on MLM aspect of the company and not the product itself with the prospective business owner at risk. Promised small fortunes and no work required other than the initial sign up, these savvy consumers know when a deal is too good to be true. Could this be a foreshadowing of things to come for Enagic in the U.S.? Japan Government’s Consumer Affairs Agency orders 9 months injunction against Enagic Co. Ltd.
April 27, 2010 Consumer Affairs Agency Suspension of Business Activities Order (for a 9-month period) Against a Multi-level Marketing Company for Violating the Specified Commercial Transactions Law. In accordance with article 39, section 1 of the Specified Commercial Transactions Law, the Consumer Affairs Agency has ordered Enagic Inc., a multilevel marketing company based in Chuo-Ko, Tokyo, which sells health supplements and other products, to immediately halt a part of their multi-level marketing activities (member recruitment, applications processing and closing contracts). This suspension order will be effective for a period of 9 months, from April 28th, 2010 until January 27th 2011. In the past, marketing solicitors at this company have made certain statements regarding the success of their multilevel marketing activities, promising participants that the company would add members to their team and allow them to obtain high levels of income, without any effort on their part. In accordance with article 38, section 1 of the Specified Commercial Transactions Law, marketing solicitors at the company must inform their retailers that such statements were false and that the profit-making is not guaranteed. ○The violations recognized are as follows: misleading information, performing soliciting activities in non-public places, not revealing the purposes/goals behind soliciting activities, and withholding documentation summarizing such activities. 1. Enagic Inc. (hereafter referred to as “said company”) has conducted multilevel marketing activities towards its retailers or soon-to-be retailers, promising them certain levels of income should they purchase the company’s products and act as sales distributors for these products (dietary supplement capsules with turmeric and Kangen water/strong acidic mineral water serial generators (known as electrolyzed water generators and alkaline ion water purifiers)). The company’s marketing solicitors, when trying to make solicit people to sign multilevel marketing contracts with them, would make untruthful statements such as: “As long as you sign the contract, you are guaranteed to make money”; “We will add more and more people to your network. Without doing anything, you will soon be earning about five million yen a month.” Such statements misled people to believe that anyone would be able to earn such income despite the contrary. The marketing solicitors did not inform people about the “strings attached” to the contracts during phone solicitations. They called people to their private offices and conference rooms (to which the public had no access to), where they persuaded them to sign multilevel marketing contracts. The market solicitors told people: “I’ve got a great way for you to make money. All you have to do is listen to what I have to say. I have something important to share with you, so we should meet up.” They never gave out their supervisors’ names, nor did they touch upon the “special obligations” behind the contracts, the purpose of their soliciting, nor the types of products in question. Overview of Administrative Penalties against Enagic Inc.
2. Business Activities Overview Enagic Inc. (hereafter referred to as “said company”) has conducted multilevel marketing activities towards its retailers or soon-to-be retailers, promising them certain levels of income should they purchase the company’s products and act as sales distributors for these products (dietary supplement capsules with turmeric and Kangen water/strong acidic mineral water serial generators (known as electrolyzed water generators and alkaline ion water purifiers)) . In accordance with article 33, section 1 of the Specified Commercial Transactions Law, the company must suspend the following activities of their multilevel marketing business for a period of nine months between April 28, 2010 and January 27, 2011: ･Soliciting people for multilevel marketing activities or encouraging others to solicit on their behalf. ･Concluding any contracts regarding their multilevel marketing activities. In the past, marketing solicitors at this company have made certain statements regarding the success of their multilevel marketing activities, promising participants that the company would add members to their team and allow them to obtain high levels of income, without any effort on their part. The fact that such statements are false and that the profit-making is not guaranteed must be reported to the company’s dealers on May 27, 2010 and the results of this must be reported to the secretary of consumer affairs on the very same day. Misleading statements regarding profits (article 34, section1, item 4 of the Specified Commercial Transactions Law): The company’s marketing solicitors, when trying to make solicit people to sign multilevel marketing contracts with them, would make statements such as, “As long as you sign the contract, you are guaranteed to make money.” “We will add more and more people under you. Without doing anything, you will soon be earning about five million yen a month.” They would also show people a copy of their accounts showing their daily profit margin, which members would reportedly earn should they sign up with the company. They misled people into believing that anyone could earn this much income when in fact the opposite was true. Soliciting in publicly inaccessible locations after attracting interest without disclosing the purpose of the solicitation (article 34, section 4 of the Specified Commercial Transactions Law).The marketing solicitors did not inform people about the “strings attached” to the contracts during phone solicitations. They called people to their private offices and conference rooms (to which the public had no access), where they persuaded them to sign multilevel marketing contracts. Non-Disclosure of Names and Purpose of Solicitation (article 33 of the Specified Commercial Transactions Law) The company’s marketing solicitors, when engaging in their multilevel marketing activities, told people: “I’ve got a great way for you to make money. All you have to do is listen to what I have to say. I have something important to share with you, so we should meet up.” They never gave out their supervisors’ names, nor did they clarify the purpose behind their wanting people to sign “special obligations” contracts with them, nor did they do anything to shed any light on their product line. Non-issuance of documents (article 37, section 1 of the Specified Commercial Transactions Act) Said company did not issue any documents summarizing or outlining their multilevel marketing operations before having people sign “special obligations” contracts with them. In October, 2008, Z (a marketing solicitor for the company), told A (a consumer) at A’s home: “Let me tell you about a great way to make your money work for you,” to which A showed some interest. Z suggested to A: “There is someone who is better qualified than I am to explain these things to you. Why don’t you listen to what he has to say?” At that moment, Z proceeded to call his superior (Y) by phone, and arranged for the two to meet at a family restaurant nearby that very same day. Y showed up a while after A had arrived at the family restaurant. A went there thinking that Y would talk to him about ways of “making his money work for him,” but instead, Y told A about earning nice profit margins by purchasing Ukon (turmeric) and introducing it to other consumers. Y then drew a pyramid-shaped form on the back of the pamphlet and began with his explanations. A, however, realizing that the subject of the conversation had nothing to do with money management, thought of leaving. Yet, as he listened to Y’s explanations, he became increasingly intrigued and thought that maybe this would be a great possibility after all to earn some money. He decided to listen to Y explain everything from start to end. It was there that A came to know about the existence of the company for the first time. Y said that the business of the company was not a pyramid scheme and would not violate the law. He showed A the company’s pamphlet and said, “As you can see, we’re a big company with branch offices in New York. There’s nothing for you to worry about.” A confided in Y that he needed money right now, whereupon Y told him: “Just by signing a contract with us you are guaranteed to make money. In half a year, you can earn 3 million yen. I’ve been saving a nice spot just for you. It’d be a good idea for you to sign with us immediately.” A became gradually convinced, however he had a few doubts: “I don’t want to ruin my interpersonal relationships by referring my friends to the company.” Y reassured him saying, “Even if you can’t introduce your friends to our network, we will add people to your network. You can earn money without doing anything.” A replied: “Well, if that’s the case, then I’ll sign.” He then proceeded to sign the contract. A wrote his name, address and other information onto a pay-by-installments contract form and a merchandise order form. Y never gave him a copy of the signed contract nor the order form, nor did he give him any documents summarizing the company’s activities. After the contract was signed, Y did not refer anyone to A’s network. About a week later, X took B to W’s office. W was already waiting for them. On the table lay a water purifier and the Ukon (turmeric) catalog with “Enagic Inc.” written on it. B B saw that the so-called “lucrative opportunity” was nothing more than some network marketing and mere soliciting. W launched into his explanations about the company’s present situation, describing how despite the fact that Enagic’s water purifier had some problems in Japan, it grew to become a worldwide success, raking in sales revenues of about 60 billion yen outside of Japan. W then explained further: “Enagic has developed a new product called the Kangen turmeric in Japan. There is nothing like this product, it’s selling like hotcakes in Kyushu and we’re expecting it to sweep across the entire nation. If you join now, you will have the opportunity to earn huge commissions.” He then proceeded to show B a video on the R&D processes behind Kangen turmeric. Before and after the video presentation, W made it a point to say: “Wangen’s soft capsule is amazing. It’s already been patented and the people in Kyushu who are taking it are so happy. This is not your average water purifier – it’s got a lot of repeat business, so your income will keep flowing in.” B, however, told W: “I’m not going to get involved in network marketing. If I have to introduce people in order to earn money, I won’t do it.” W said: “We already have a network established all across the nation. You won’t have to refer anyone. If you join now, we’ll bring the people to you.” B, reassured, was intrigued and asked: “How many people would I have under me and how much would I be making?” W: “Everyone who’s in the network right now earns 5 million yen a month. We still have work on developing our network in Tokyo, but as we’ve already succeeded in building one in Kyushu, Tokyo shouldn’t be a problem. If you want to join, you’ll have to purchase 252,000 yen worth of Kangen turmeric, and register with Enagic as a member so that you can become an official dealer. As far as payment goes, you can pay for the initiation fee of 28,000 yen by credit card, then pay 14,000 yen thereafter at the end of every month. When the payment statement arrives, you will already have income coming in, so there’ll be no need to pay for 14,000 yen every month.” B became interested and saw the 252,000 yen as an investment. W then proceeded to describe the company’s commission system, but everything sounded so complicated and B was unable to understand. B asked W: “I don’t need 5 million yen a month, just 1 million is enough to make me happy. Can you guarantee this amount, and how soon can you guarantee it?” W replied without hesitation,” I know a lot of people and I can bring them to you, so don’t worry about it.” B interpreted W’s explanation as meaning: “I don’t have to do anything and I am guaranteed to earn 1 million yen.” B said he’d be willing to sign. However, as he’d forgotten to bring his personal seal to stamp the contract that day, B went back home with the intention of signing the contract in the following days. A few days later when B visited W at his office, he was introduced to V, another marketing solicitor ranking above W. V told him enthusiastically, “Enagic is popular in the United States, it’s definitely a company that you can trust in. In Kyushu, the popularity of Enagic’s Ukon (turmeric) has been off the wall. Just imagine, Tokyo has a much bigger population than that of Kyushu. It’s practically guaranteed to become a big hit in Tokyo as well. In fact, I know of one dealer who earned up to 60 million yen, although he is not in my group.” B, worrying about his limited circle of acquaintances, wanted to confirm with W once again if it was really ok for him not to refer anyone to the company. W reassured him saying: “I have a huge number of acquaintances, plus I will be having seminars at this office everyday. I will start assigning the people who attend these seminars to you. If you join now, you can immediately earn 5 million yen a month without doing anything. Many people will be joining, and I’ll be putting them under you. What you will be earning in terms of revenue will immediately surpass your product costs.” B signed the contract. After the contract was concluded, W referred just one person to B’s network, but no more than that. In February 2009, U (a solicitor of said company) told C (a consumer): “I know a great way to make money. Would you like me to tell you how?” C said he would indeed. 2-3 days later, U called C on his cell phone: “Do you have time today? Would you be interested in hearing more about the stuff I told you the other day?” With that, he invited C to a seminar. C accepted the invitation and went to T’s (who ranked above U in the company) office. U and T were both waiting for him. After C had taken a seat, T showed him Enagic’s Ukon brochure and asked him, “Have you heard about a network marketing company called Enagic?” to which C replied in the negative. T continued: “Normally, network marketing businesses come from the U.S. In our case, Enagic is actually going to U.S., since Japan is too small. That’s how great our company is.” T didn’t explain much about their product Kangen UkonΣ, yet he continued to push the product to C: “In order to make money, you have to purchase Kangen Ukon Σ and register as a dealer. Without the dealership registration, even if you refer people to us, you will not be able to receive the 9,000 yen referral fee. Kangen UkonΣ costs 252,000 yen. Enagic has its own credit system. Since we have our own credit, even black “dealers” (those who don’t make the cut in an ordinary credit company) can pass with us. You can sell Kangen Ukon for 8,400 yen a box. If you manage to sell them all, you will have earned back all of your product costs. You just need to bring people to me, nothing else. I will explain everything to them. For every person you refer to me, you get 9000 yen. If you refer one person to me every day, everyone, including those in the top tier, will receive 9000 yen. Once you rise to the top, you will also be earning someone else’s 9000 yen.” T described the dealer rankings, the amounts the dealers would make and the payment system in detail, but everything was hard to understand. The more C listened to T’s explanations, the more it sounded as if it actually didn’t matter in end if the product got sold or not. As long you referred people to the company, you’d make money. For some reason, the whole deal with earning cash just through referrals was beginning to sound like a pyramid scheme. C thought to himself that there was no way that he would ever refer any decent, hardworking person to this network. He told them to let him think things over and then headed his way back home. 2-3 days after that, U called C on his cell and told him, “I’ll refer people to you, so everything will be ok. Just come and sign the contract with us.” C thought to himself, “Well, as long as U and the people that U refers me to continue to get referrals, I won’t have to do anything. For every extra referral I’ll get 9000 yen. With that money, I should be able to pay off my initial costs. “ He decided to sign the contract. Two days after that call, C met up with U and they wrote up the contract and credit application. U did not at any time give C any documents summarizing their activities. After signing the contract, U referred only one person to C’s network. That one person did not obtain any referrals at all for C.
Around April, 2009, S, a marketing solicitor of said company, invited D (a consumer) to meet up with him, under the pretext that he had something important to share with him. D accepted thinking it would just be casual conversation over tea and met up with him at a café near a certain train station a few days later. D heard about the company for the first time as S started talking about his company’s network marketing business. S told D that the product being marketed was Ukon, but never once did he talk about the product’s functions. Instead, he bombarded D with statements such as: “Ukon is a money-making tool. Ukon will bring you money. I really would like to help you make money.” “How can you make money though?” asked D, to which S replied, “You just have to refer your friends to the people at the top, and the money will come in. Once you sign the contract and get the merchandise, the commissions will start getting paid out in 2-3 days. Before you know it, money will be flowing in every month.” But D was not convinced that earning money at this company was really that easy and answered, “I really don’t have anyone to refer to you guys, so I have no intention in getting involved. Plus I don’t drink, my liver is doing o.k., I’m not really interested in your health supplements.” To which S replied, “You don’t have to worry about it. Our people at the top will assign referrals to you. You don’t have to do anything.” In attempt at arousing some pity, S added, “I have some health problems, so either way I have to make money using this network marketing business.” After listening to S’s stories about his own personal struggles and his money-making experience after signing the contract, D decided that maybe S could be trusted after all. D filled out the installment payment application form as well as the merchandise purchase order form given to him by S and handed it in. S never gave him a copy of the application form nor did he give him any documents summarizing company activities. Afterwards, when D tried to cancel the contract, S reassured him that the guys above would refer people to him, so that the money would roll in even if he didn’t do anything. No one, as it turns out, was ever referred to D.
Around July 2009, R (a marketing solicitor of said company) sent E (a consumer) an email to his cell phone telling him, “I’ve got a great network marketing opportunity that I want to tell you about. Do you have time to spare?” A few days later, the two met up at a family restaurant that they both knew, but R still did not tell E about the company’s name. The copy of Q’s bankbook showed a cash inflow of 9000 yen being recorded on a daily basis. E thought to herself: “Wow, it’s that easy to have so much money flowing into my account. I should talk to my husband about this, and see what he thinks before we sign anything.” However, she felt completely overwhelmed by the passion and aura that Q was giving off, so much that she was unable to voice any of her thoughts. She ended up signing the contract right then and there, curious as to try out the Ukon product while assuming that she’d eventually break even given the profits promised her. The products arrived about a week later. As E looked at the newly arrived merchandise, she once again became uneasy about being able to pay off the 250,000 yen in product costs. Plus, she’d had some time to cool off from all of the hullabaloo and was beginning to realize that making money was probably not going to be as easy and effortless as Q had promised. I need help, I got an offer from a distributor or whatever to work for them, I researched a TON on the company because it seems like a scam, but I’m still unsure. could you give me the sources for where you got this case from? I can’t call the hotlines because I don’t know Japanese. If this case is true, I need to ask the distributor about it. Thanks! Hi! The Enagic company is not a scam, but it’s most certainly not the best water ionizer company to be affiliated with. Enagic is a multi-level marketing company, hence the ridiculous price of their machines. Enagic also only provides a 5 year warranty for their machines. Given the amount of money you are spending, you would think they would offer you a lifetime warranty. You say that you have done a TON of research, so these points should be already known to you. Your best bet would be to keep researching and go with another company who offers a lifetime warranty on their machines and is not MLM. Please make sure to look at the quality and plate material of the machines as well. Tyent USA is one of our favorite companies because we have found they offer the best warranty, have superior machines and they are not a MLM company. Please feel free to contact us with any more questions you may have. Thanks so much!